We're not exactly spoiled with unmissable boxing matches, but the Joshua vs Klitschko bout has even the casual boxing fan reaching for their remote to order the fight (while spitting their tea out at the cost - £19.95), or more likely going down the pub with a few mates. A boing match of this magnitude has been a long time coming, and the recent Haye fight, which was certainly a lively affair has certainly whet the appetite of fight fans across the country and the world. Klitschko (64W- 4L - 0D), while not exactly an exciting fighter to watch, was unbeaten for over a decade (ironing out a few kinks along the way, long after his brother had hung up his gloves) before coming a cropper to part time comic and full time professional eater Tyson Fury. Fury is no bum in the ring, but at the same time, the result was a surprise which has led many to think that for Klitschko the hunger has gone. It's a fair argument, but maybe the loss will spur him on for what could well be one of his last fights. Anthony Joshua (18W - 0L -0D) has a golden opportunity with this fight. He's had what you could call a faultless 3 1/2 year progression through the heavyweight division (Klitschko is at the tailend of a 20+ year professional career) filled with knockouts - as in all 18 fights have ended in knockouts - impressive to say the least. A win it this match up would position him perfectly to unify the belts within a couple of years. It goes without saying that for their own reasons both fighters would love this win on their record. 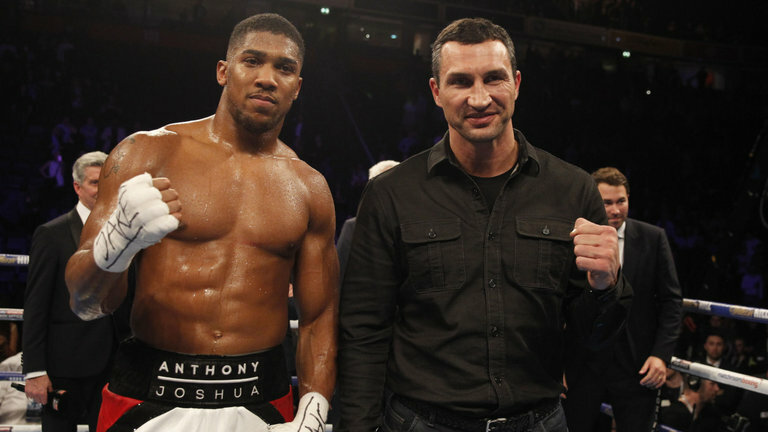 Both Joshua and Klitschko are available at around 7-1 to win by decision, but I don't see this one going the distance. Round betting is relatively uninspiring too. My inclination is to go for a Joshua win. Youth is firmly on his side and this is a golden opportunity that he's surely hungry to take. He has the punch power in spades and the speed, so won't be afraid to unleash. He possesses the ability to give his opponent all kinds of trouble, and although Klitschko's chin hasn't been truly tested for a good few years, that wasn't the case earlier in his career, so it's a reasonably likely outcome in my view..
That being the case, a knockout (or TKO) by Joshua at 4/6 seems like the bet to me. I'm fully expecting Klitschko to try to keep Joshua at arms length and be very tactical throughout the fight, but I think despite his experience he's up against it here.